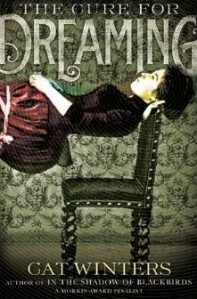 The Cure for Dreaming starts with Olivia Mead, a girl who just turned 16, attending a hypnosis show, living in 1900 Portland, Oregon. She is picked to go on stage and though she does not remember anything that happens to her, the hypnotist Henri Reverie manages to make her body as stiff as a board, suspend her between two chairs, and stand on her. When her father hears of the show, he realizes he could use hypnosis to control Olivia who has joined with the suffragette movement. It was a fun book but I felt it could have gone deeper with the characters and storyline.